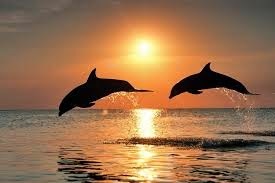 Holy crap I saw dolphins! 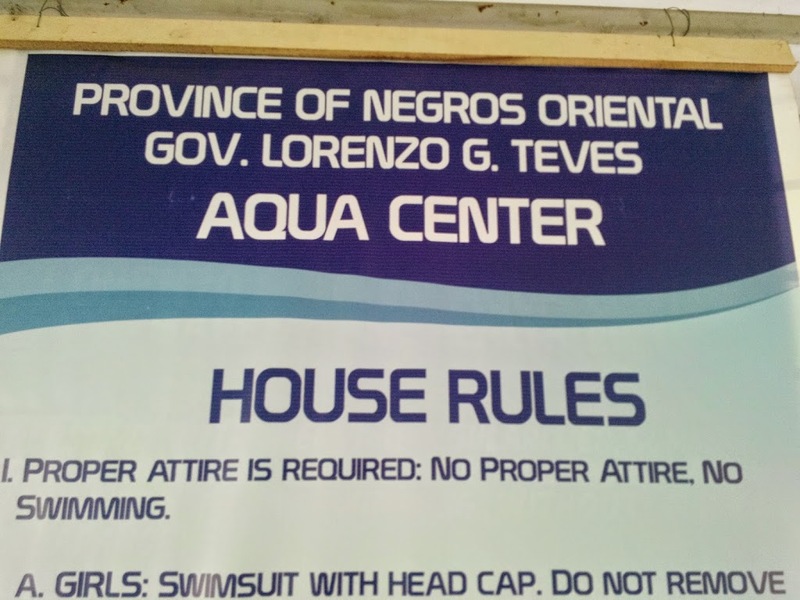 Also featured,The Teves Aquacenter in Dumaguete……. Um, I didn’t actually take this photo…..
Holy Crap, I Saw Dolphins!! Yep, it’s true. Today, Michell and I headed up to Bais, which is located in a big harbor north of Dumauete City. The trip was actually for the company that she works for, Global Office Works, and I was lucky enough to be considered a family/friend and got invited along for the ride. Coololicious. We met up at 5 AM outside the company’s headquarters on Rizal Boulevard with a frozen carrot cake from Sans Rival in hand (a pot luck lunch was part of the trip and that was our contribution). Once we got underway, I zipped up to Bais on the YBR and Michell escorted our rapidly defrosting cake on the jeepney that was chartered for the trip. Ah, but I am getting a bit ahead of myself and will cover the trip in more depth in my next blog update. The bottom line was we saw dolphins – lots and lots of dolphins! And I got some really good video footage with the GoPro. (I was a bit concerned about the video I got because I couldn’t remember if I had taken off the lens cap or not – damn you, old age!!) Not to worry – I will be editing that as well and putting it up on the Youtube channel. On the same day that I did the World Fitness Gym video, I also took some video footage of the Governor Leonard G. Teves Aquacenter which is located right near Siliman University. 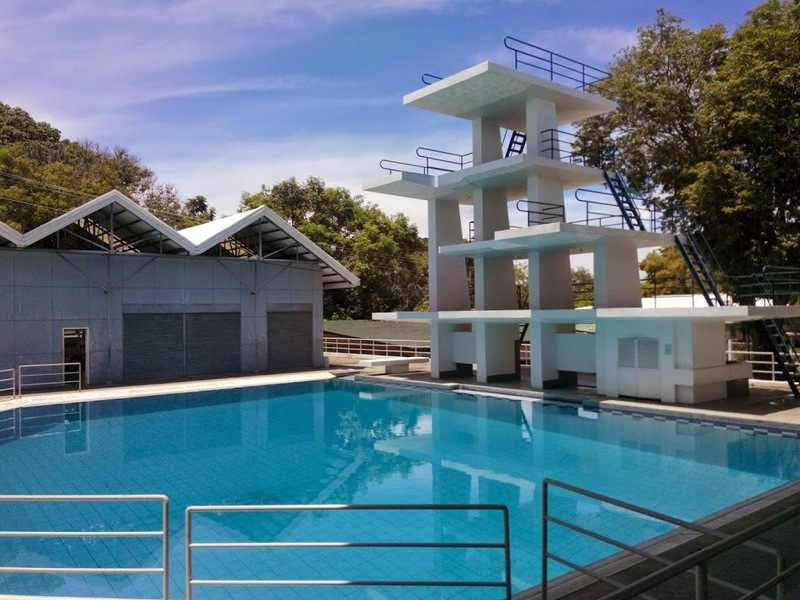 The Aquacenter is a pretty magnificent sports complex that boasts a clear, 50 meter swimming pool and a diving pool with 3, 5, 7, and 10 meter diving platforms. I haven’t used the latter as gravity has rarely been my friend but I use teh pool on a semi-regular basis, doing a mile there (36 laps) a couple of times a week to supplement my gym time. 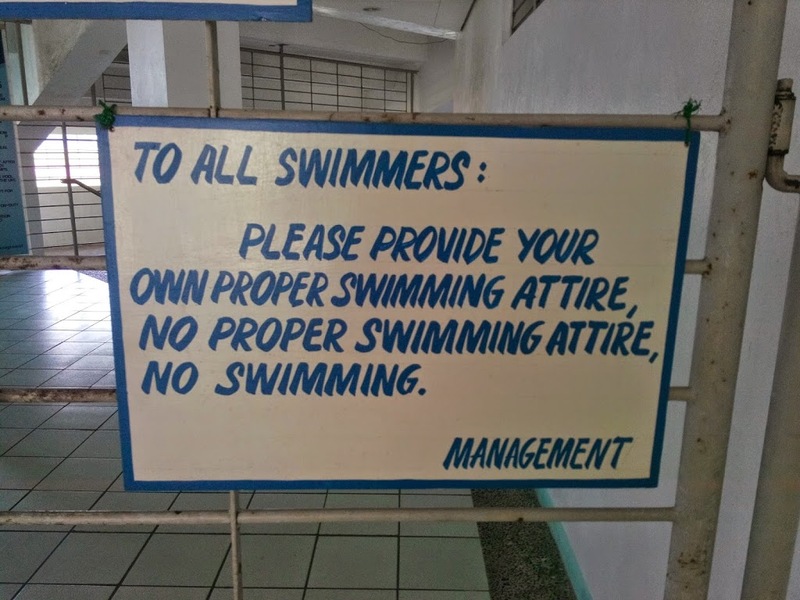 The Aquacenter has a pretty strict dress code and men and women are expected to wear specific bathing suits – no “board shorts” or revealing bikini or one-piece bathing suits are allowed. It’s a government run organization, so it’s pretty conservative. Guys have to wear skin-tight Speedos (shorts, not “banana hammocks”, but don’t worry – I didn’t include a pic of me in my none-too-flattering Speedos! When school is out – as it now is – the pool can be a little hectic, with little days and dongs (kids) seeking some solace from the relentless Summer heat. When school is in session, the place is pretty much deserted, and you basically get your own giant swimming pool for 20 pesos ($.22) a day. Not too shabby. I used to go in the early evening, when the sun is setting to the west, the moon is rising in the east, and the swallows are skimming over the water chowing down hapless bugs. It’s quite awesome and rather sublime, as I noted in the video. 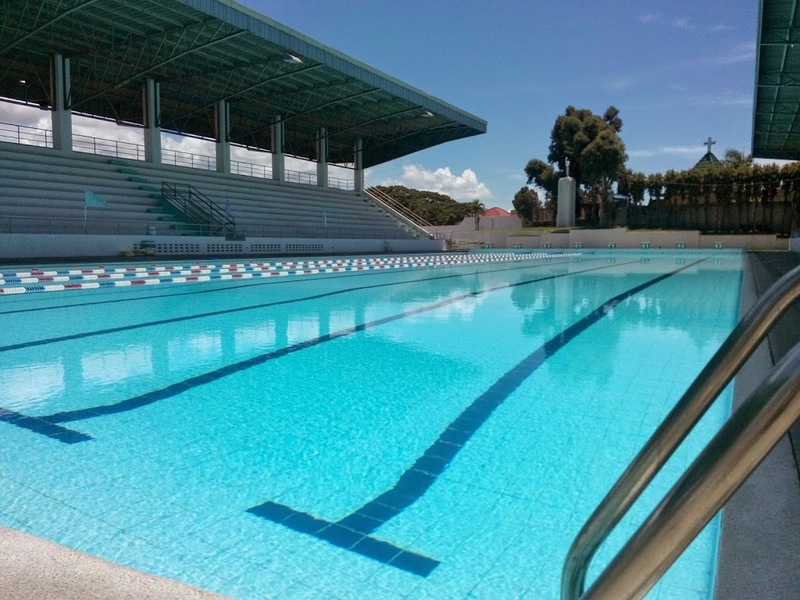 50 meter pool with up to 8 lanes for lap swims. Water is pretty much crystal clear. The diving platforms are also pretty cool, and maybe someday I will gather up the testicular fortitude to hop off of one. I used to jump in quarries and off highway bridges, so I don’t know why I am so hesitant to try it. Probably that whole stone cold fear thing. I ain’t got the guts. 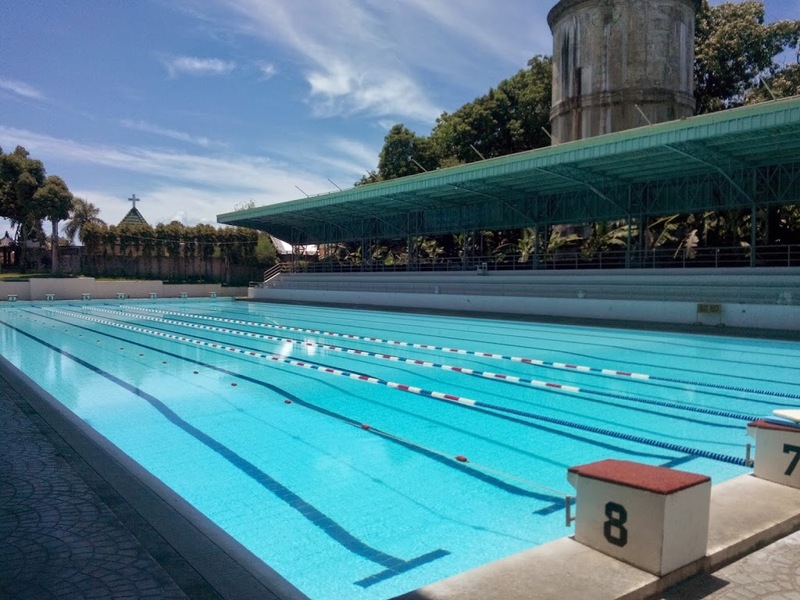 Anyways – if you are in Dumaguete and looking to get some swimming on, check out the Teves Aquacenter. Just make sure you got your Speedo bathing shorts!! One last thing. In the US, cars and trucks are painted in special closed rooms within autobody shops. 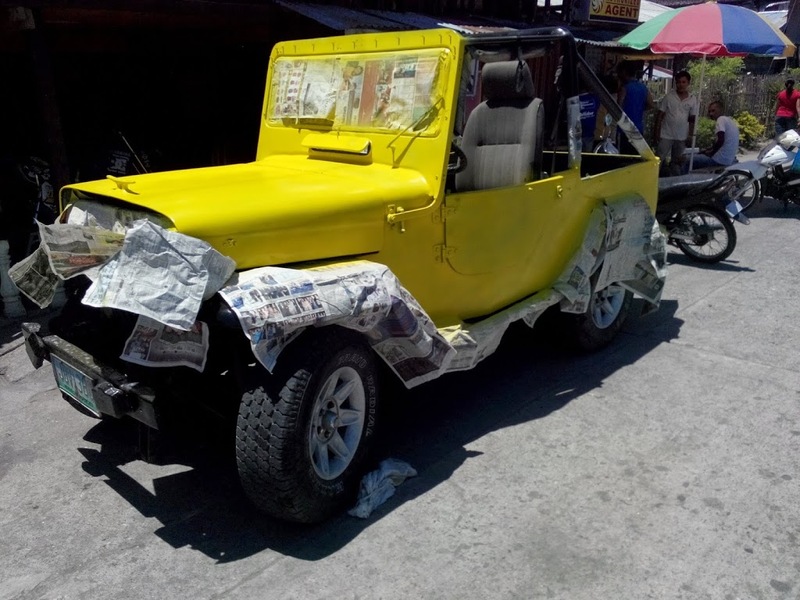 Here in the Philippines, they just roll it out to the street, slap on some tape and newspaper and have at it.